To change the MCU used in a project the Project Properties Window must be opened. Since Microchip makes several hundred different MCUs MPLABX provide the Family menu. Selecting the family to use before selecting the device may reduce the time needed to change the MCU designation. 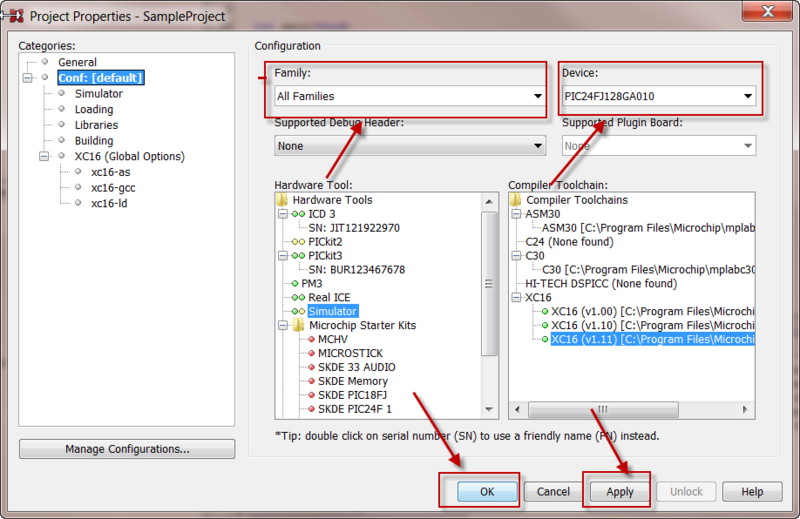 After you have selected the Hardware tool to use select "Apply" then "OK".